This is a little bit toe-curling but as I always say we place all things Paddy related here … for the record! Ahead of a new Patrick Leigh Fermor biography, Kevin Rushby visits the Mani peninsula, home of the great man and unsung resting place of another British travel writing giant, Bruce Chatwin. First published in the Guardian 28 September 2012. 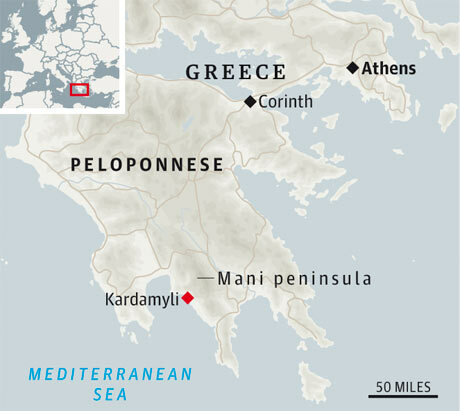 Kardamyli, on Greece’s Mani peninsula, was home to Sir Patrick Leigh Fermor. 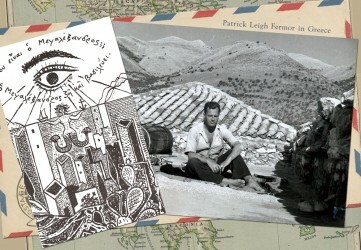 Order Paddy’s biographyPatrick Leigh Fermor:An Adventure by Artemis Cooper here. This entry was posted in An Adventure: Paddy's Biography by Artemis Cooper, Mani and tagged Bruce Chatwin, Greece, Kardamyli, Patrick Leigh Fermor, Peloponnese on October 2, 2012 by proverbs6to10. 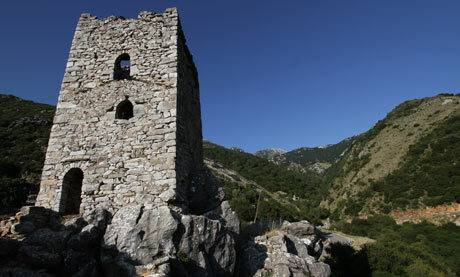 I just received this message from Andrew Bostock who authored the Bradt guide to the Peloponnese. It seems he is heading off there now. Paddy appears to have had some views on guidebooks; what are yours? There are people who always seem to be fated to end up in their eventual career; children whose endless games of doctors and nurses or Lego translate into later careers in medicine or engineering. I used to think that I didn’t fit into this category, but now I’m not so sure. 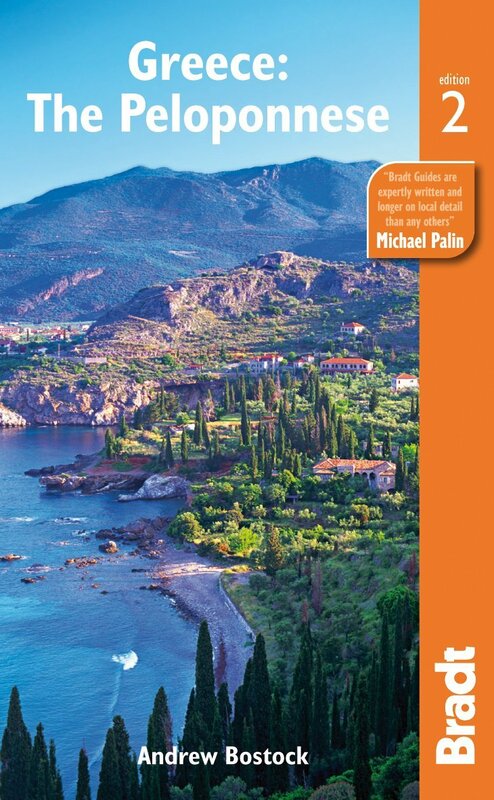 In a week’s time I head out to the Peloponnese, the southern mainland of Greece, to complete the research to the second edition of my guide to the area, due to be published in early 2013 by the award-winning publishers Bradt. 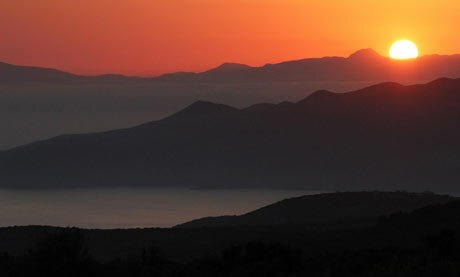 The first edition was written whilst I lived in the area, and whilst my daughter, who was born in Kalamata, grew up. Now I’m heading back for six weeks to show her where she comes from, and to introduce her one-year-old brother (middle name Telemachus) to the country. How I ended up doing this seems to be due to huge smatterings of good luck and coincidence; but thinking about it there was an element of fate involved. This was mainly due to my mum, who instilled in me an early love of Greek mythology and history. It was also on her shelves that I first found the books of Paddy Leigh Fermor. I must have been about 14 at the time, and I devoured them. This quickly led to backpacking trips round Greece, sleeping in olive groves and abandoned tower houses, and eventually working there as a teacher, tour guide and writer. Fate continued to intervene and my small family ended up living in a house on the headland above Kalamitsi bay, where Paddy had built his beautiful Greek house. In truth I had never really wanted to meet him, expectations are too easily let down, but in the end it seemed inevitable. He turned out to be just as affable, engaging and generous as the books would lead you to think. He wasn’t really that keen on the idea of a guidebook to the Peloponnese, and I do see his point; but it was his books that guided me there. I think that if people are to travel, then a least they should travel with knowledge and understanding. I’m pretty proud of my book, and hope to spend the next few weeks making it even better. 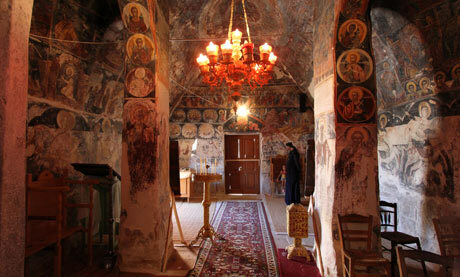 This entry was posted in Uncategorized and tagged Bradt guides, Greece, Mani, Patrick Leigh Fermor, Peloponnese on July 23, 2012 by proverbs6to10.